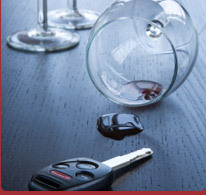 Wisconsin OWI � What is Implied Consent? Implied consent. Any person who is on duty time with respect to a commercial motor vehicle or drives or operates a motor vehicle upon the public highway of this state … is deemed to have given consent to one or more tests of his or her breath, blood or urine, for the purpose of determining the presence or quantity in his or her blood or breath, of alcohol, controlled substances, controlled substance analogs or other drugs, or any combination of alcohol, controlled substances, controlled substance analogs and other drugs, when requested to do so by a law enforcement officer…. Do I have to let them test my blood alcohol level? Can I get a Second Alcohol Test? Do I have a right to an attorney before I submit to a test? What happens if I refuse the test? Yes. If you drive on the roads in Wisconsin or have a Wisconsin driver’s license, you are deemed by law to have consented to providing a breath, blood or urine test under certain circumstances. This is called Wisconsin’s Implied Consent Law. Refusal to give a sample when asked is a separate offense, which then counts as a prior conviction. 1. The general OWI law. 2. Commercial driver between .04 and .08. You only have to let them test you using one of the approved methods. You are not required to blow into a PBT, and there is no penalty for not blowing into that device. Since that device is typically used to establish probable cause to arrest you, it may be for the best to politely refuse. Yes, Blood Alcohol Tests fall into three categories. There is the Primary test, the one law enforcement chooses. For the primary test, the officer can ask you to perform “one or more tests.” Submitting to one test but not another is a Refusal, which is a separate offense. This can mean the officer can ask you to do the same test twice, or submit to two or more different types of tests. The Alternative test is one the police have to provide you at their expense if you request it. Before you are entitled to it, you have to submit to the primary test(s). You don’t have a choice of which test you get here. It is whatever alternative the police choose to provide you. Finally, the Additional test is another test you may request at your own expense. It is up to you to choose which type of test to get, and where to get it. This opportunity must be provided to you within three hours of your arrest if you request it. To comply with this time limit, police only have to process you and release you. They do not have to take you to another testing site (i.e., the hospital). You only have a right to either an alternative or additional test, not both. It is up to you to decide. If the police fail to comply with your right to a second test, suppression of the primary test results is the remedy. If you refuse the test for blood or breath alcohol, the officer will take your license and issue you a notice of intent to revoke your license, which becomes your license for 30 days. As long as you request it within ten days, you have a right to a hearing before the circuit court to test whether the revocation is valid. You can be prosecuted for refusal as well as the underlying OWI offense you may also be charged with. At the refusal hearing, the court will determine if there was probable cause to arrest you, whether you were informed of your obligations under Implied Consent, and whether you refused. In addition to being a refusal for refusing to cooperate, other things can count as refusals too. Repeated insistence that you speak to an attorney, saying nothing, providing inadequate air samples, and so on, are refusals. One defense is if you have a physical disability or disease that prevents you from cooperating. If the court finds you did in fact refuse, your license will be revoked for at least one year, or more if you have prior OWI convictions.You will also have to do a driver safety and improvement plan, which can include a range of requirements, up to and including spending 30 days in an inpatient alcohol treatment facility. If you have enough priors, you may also be required to install an ignition interlock device on your car. The fact that you refused is also admissible against you as proof of guilt in the trial on the underlying OWI.